Bell peppers are rich in vitamin A and C, which support healthy eyesight, especially night vision, as well as bones and skin health. They are a rich source of a carotenoid called lutein that helps in lowering the risk of macular degeneration of the eyes. 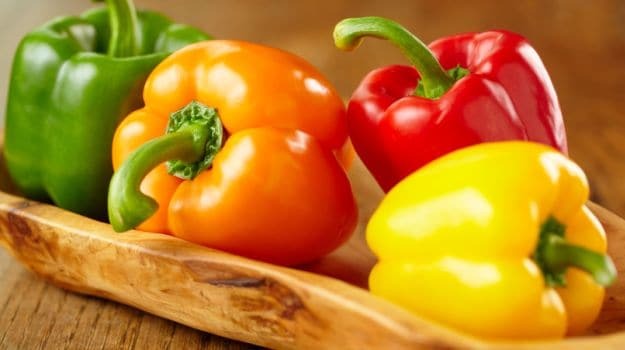 According to the book, 'Healing Foods', by DK Publishing, "Bell pepper contains vitamin C, necessary for the synthesis of collagen, the main structural protein in the body that maintains the integrity of blood vessels, skin and bones." 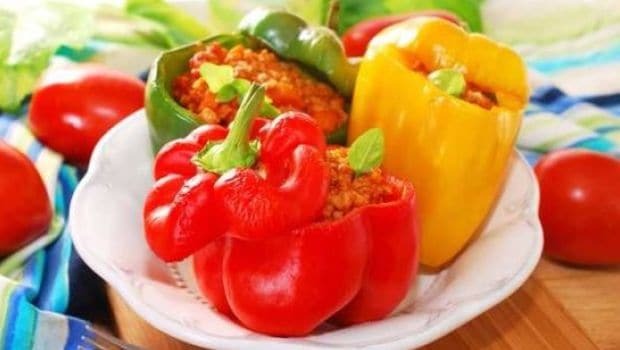 Bell peppers are rich in vitamin A and C.
It is believed that due to the presence of capsaicin - the substance that boosts our metabolism - bell peppers may enhance weight-loss efforts. Research has shown that capsaicin keeps immature fat cells from developing into full-fledged ones, which supports weight loss. In other words, capsaicin is known to increases our metabolism without increasing the heart rate and blood pressure, unlike its 'hot' cousin - red chillies. 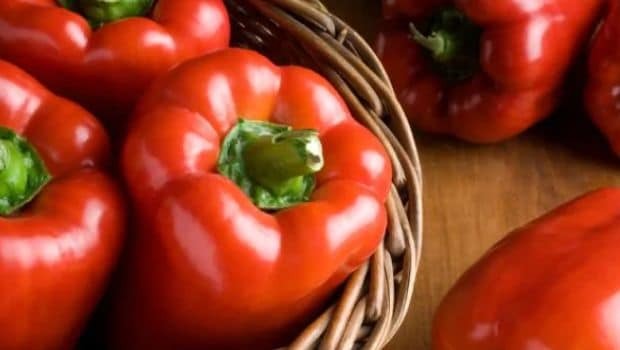 According to the book, 'Healing Foods', "Red peppers have significantly higher nutrient levels than green, including lycopene, which helps to protect against cancer of the prostrate, cervix, bladder and pancreas." Being rich in antioxidant and anti-inflammatory properties, bell pepper may provide several anti-cancer benefits. The risk of cancer increases due to chronic excessive inflammation and chronic unwanted oxidative stress. These factors can be offset with regular intake of phytonutrients having antioxidant and anti-inflammatory properties. As per a study published in the Journal of Food Agriculture and Environment, "Peppers were reported to contain moderate to high levels of neutral phenolics or flavonoids, which are important antioxidant components of a plant-based diet. Flavonoids are reported to possess many biochemical and pharmacological effects, including anti-oxidation, anti-inflammation and anti-allergy. 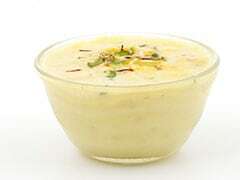 The intake of these flavonoids was reported to reduce the risk of cancer." Bell peppers may enhance weight-loss efforts.